Created in Nice in 1980 by Pascale and Enzo Amaddeo, Les Néréides firm offers unique designs of high-end costume jewelry. True family business, its names relates to Pascale’s grandfather, close friend of Magritte, the famous painter. Les Néréides are Goddesses of the Greek mythology. They are the daughters of the God Nereus (the old man of the sea). There are 50 of them and they enjoy this wonderful ability to reinvent themselves endlessly… like our pair of designers. Pascale and Enzo Amaddeo met on the benches of the Academy of the Arts in Belgium in the seventies. 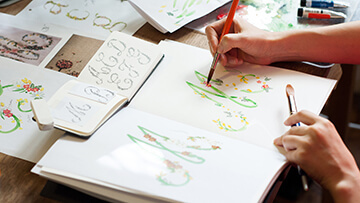 They nourish their limitless creativity from inspiring trips, wandering in junk shops and flea markets, and the green surroundings of Picardy’s countryside. 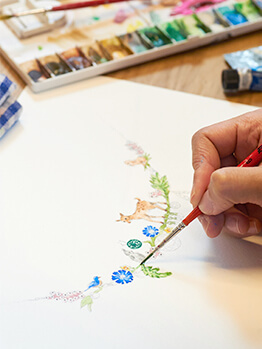 Drawing their inspiration from nature and the animals, they garnish their sketchbooks with enchanting and fantasy bestiaries, cosmopolitan landscapes and luxuriant vegetation. 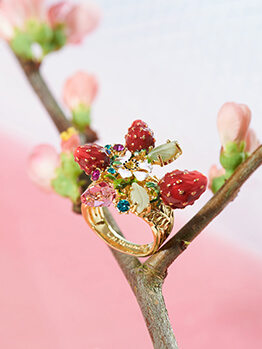 With Les Néréides, they develop a brand of jewelry boldly bucolic where flowers and animals are the heroes of refined designs. The history of the brand could not be written without including their four children, who are now all part of the life of the company. 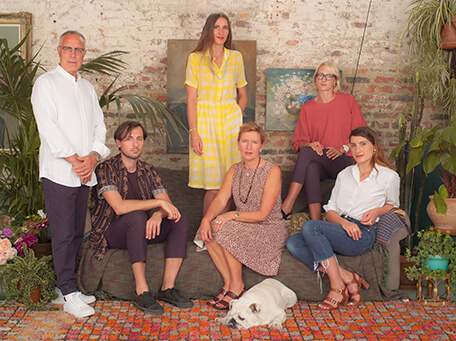 Today, this second generation of born-designers is taking over their talented parents. Pier Paolo Amaddeo is at the head of the Artistic Direction of Les Néréides where he maintains the feminine and sophisticated style where colors and poetic symbols stand out. His sister Bianca Amaddeo, in charge of the visual identity, has also implemented a store concept where an array of plants is blooming in an elegantly refined and pared down environment. This vision is driven by the search for sophistication and ultra feminity. Each detail of each design by Les Néréides is carefully considered, in the purest tradition of French good taste. 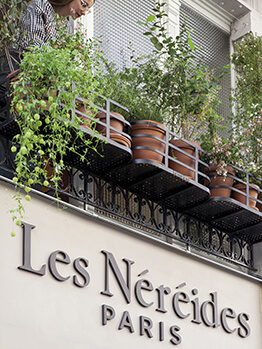 “Fashion fades, but style is here to stay”: anchored in 40 years of expertise, Les Néréides offers a timeless style, governed by vibrant colors. From lemon yellow to pale green, the colors convey their poetry in more than 30 collections every year. They compose both Les Néréides and N2, a brand full of fun created in 2004. 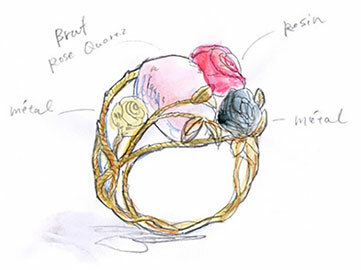 Through its collections, Les Néréides sustain a know-how inherited from high-end fine jewelry. In the heart of its Parisian workshop, each piece stems from a drawing straight out of the imagination of the designers. 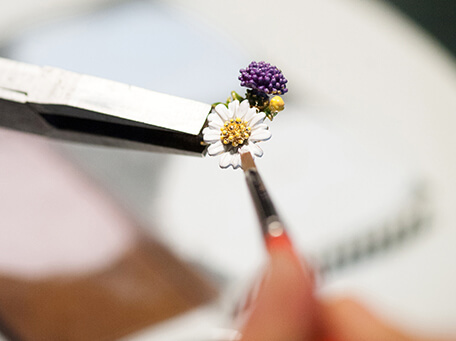 The jewels are then manufactured and delicately hand-painted following the enameling technique. 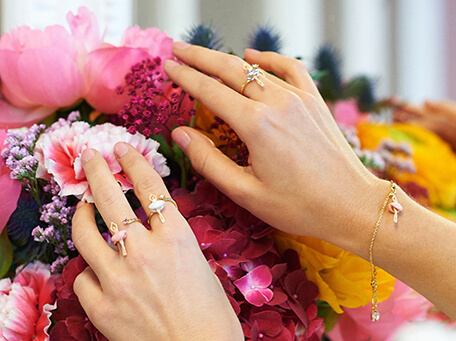 Feminine and sophisticated, timeless and proud of its inspiration drawn from Nature, Les Néréides offer a collection of one of a kind affordable luxury jewels. In order to be the jewelry brand bringing women their biggest emotions, Les Néréides deploys its creativity in all the corners of the planet. Born in France, it enjoys a strong international distribution network on four continents. Its development initially took place in Asia in the end of the first decade of 2000. Hong Kong and Taiwan fell for the charm of the “Pas de Deux” collection, featuring a ballerina of the Paris Opera. In less than 10 years, Les Néréides brand has settled in Australia, China and also in South America, the United States and the Middle East. Its vision appeals to the women of 25 countries via 400 multi-brands stores, more than 90 international points of sale inside stand alone shops or department stores corners, and several on-line shops. Beyond the commercial aspect of a French brand with international goals, Les Néréides is also committed socially. In 2015, Pascale and Enzo Amaddeo created the Foundation Loves Animals. 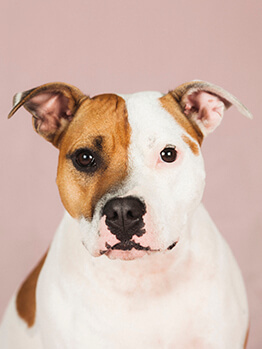 Each season, 15% of the sales of two specific collections are donated to shelters and associations that have been selected based upon their actions for the animal cause. This love for animals is a reality in the company where employees can bring their dog at the office. At times, you will meet up to 9 of them in our Paris offices, a welcoming place thought to provide a wellbeing environment for its employees. Under the skylight, they can enjoy yoga and exercise classes on a regular basis. 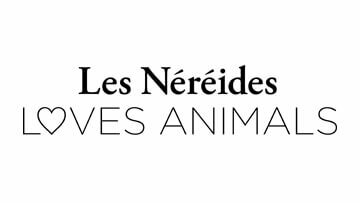 At Les Néréides, life is diverse, cosmopolitan and filled with animals. Throughout its collections, La Maison Les Néréides perpetuates a know-how inherited from high jewelry. 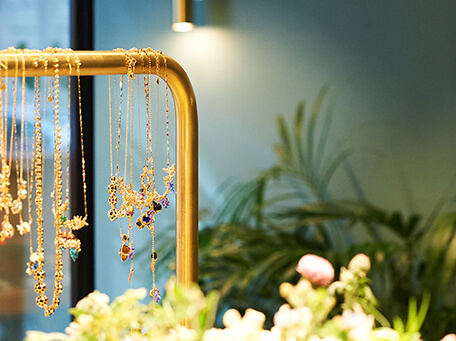 Its Parisian studio is located a stone throw from the 600 years old historical hostel of Nicolas Flamel… Each jewel created here is first a drawing, born from the imagination of the designers. Like in high jewelry, the pieces are “painted”. The jewels are then elaborated and subtly hand-enameled. 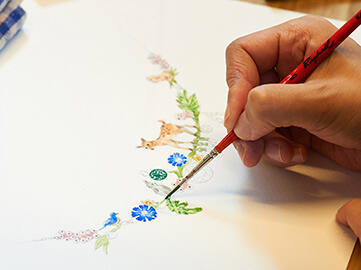 Each floral or animal detail is delicately colored with a brush while paying a special attention to the choices of colors. This is a very meticulous mission, where every detail results from the expert work of dedicated craftsmen. The stones too are hand-faceted: such as the crystals that compose the iconic collection La Diamantine. With this expert touch, each piece is unique.